Absolutely amazing views across the water with direct walking beach access straight across the road. You will feel relaxed as soon as you walk upstairs and see the view. You don't look out directly to the sun as you do with many Esplanade properties so the view can be taken in at all times. Set back from the Esplanade with a grass reserve out the front, looking across the ocean to the rolling Myponga Hills in the background. Fully air-conditioned, garaging for 2 cars. Reverse cycle - fully adjustable for all bedrooms and downstairs living area. We enjoyed our stay very much. The home was very comfortable and clean and the views were just beautiful. The location was also great as we had easy access to everything we needed, along with short drives to other scenic places. Just the place to go to recharge your battery and enjoy some peace. Thank you very much Mark. We hope to be back soon! Spectacular location and views, easy beach access, wonderful property. Spacious, clean, well fitted out property. The children loved the balcony, as did we. Thank you Ruth. We hope to see you again one day. Thanks James, pleasure to have you and so pleased you enjoyed our unique location on the Esplanade. Aldinga Blue offered all that we needed for our weekend away. We had a family wedding to attend in Willunga and so with adult children and their partners in tow, we settled into our home away from home. The views are wonderful and the open plan kitchen/dining/living area makes the most of them and is very comfortable. The kitchen is very well equipped and we loved the ample sized fridge and the luxury of a dishwasher. We all had an awesome weekend and aldinga blue comes well recommended by us. 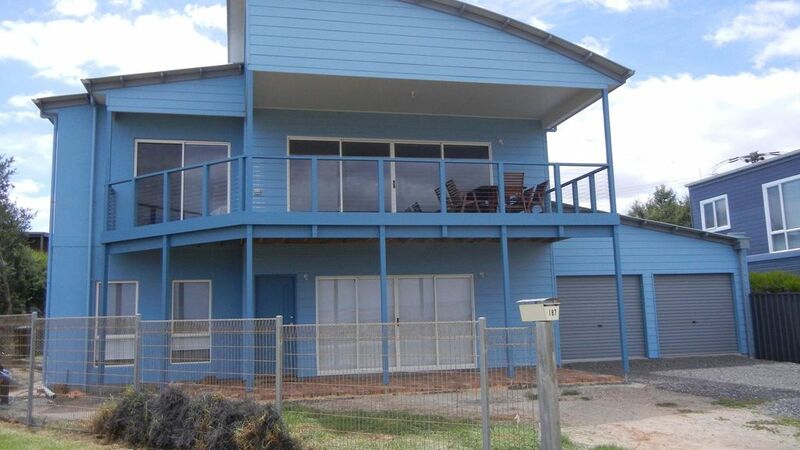 Great location, with beach access across the road and cafes close by. Very clean and tidy with a balcony to take in the beautiful view. Plenty of room for 2 families and a comfortable, relaxed place to stay. We will return. The house accommodated all 7 of us perfectly. The views & sunsets were to die for. Can't wait to get back there!